Bilaspur: Union Health Minister J.P. Nadda thanked Prime Minister Narendra Modi for sanctioning All India Institutes of Medical Sciences (AIIMS) in Himachal Pradesh and said the medical institute will prove to be a new milestone in field of medical science. “I on the behalf of the people of Himachal want to thank Prime Minister Modi for giving us AIIMS Bilaspur. 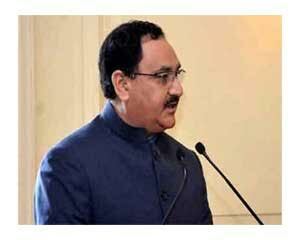 This medical institute will prove to be a new milestone in the field of medical science,” Nadda said. “No other Prime Minister has ever given such a huge institution to Himachal,” he added. Prime Minister Modi will lay the foundation stone of the medical institute in Bilaspur on October 3. During his one-day visit, the Prime Minister will also address a massive public meeting. I hope he has found some decent people to man the facility.